What’s black and white and pink and fuzzy all over? 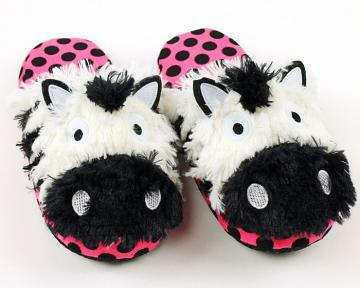 Our Zebra Stripe Spa Slippers! 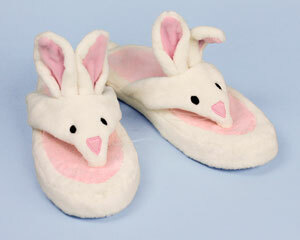 Whether lounging at the spa, or relaxing at home in style, these sassy slippers give your toes room to wiggle. Made with a foam footbed, silky soft zebra stripe plush, and non-slip grips on the bottom. Fuzzy hot pink textural fabric adds a bold contrast.